The next time you’re at the Range practicing your Iron striking we’d like you to work on your pre-shot routine and aim. Before each shot, look down the line to your distant target from behind the ball. 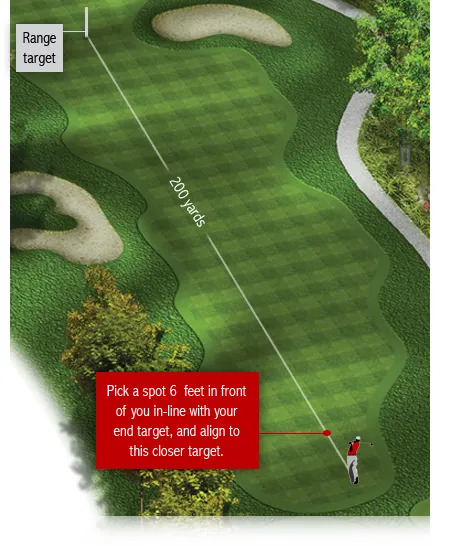 Pick a spot about 6 feet in front of you that is in line with your target. 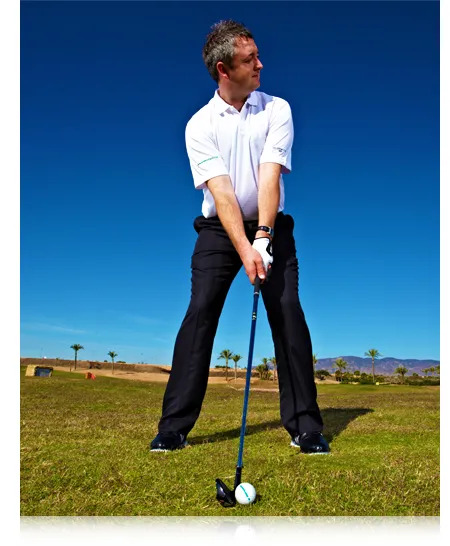 Now, when you setup, first align your clubface to the ball, then take your stance, aligning square to your shorter target line. Whatever aspect of your swing you’re trying to improve, it helps to play every shot with the same discipline you (should) have on the golf course. Take each shot very seriously. This practice drill will improve your aim. You want your great shots to go at the target. So that’s a good idea.